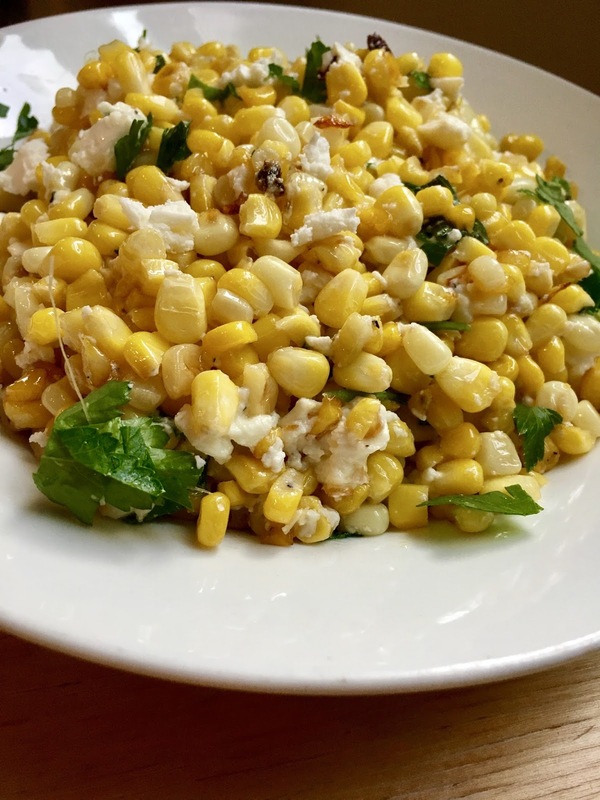 For a fresh and smokey side, I was inspired by Toro’s Maíz Asado con Alioli y Queso Cotija - grilled corn on the cob smothered in creamy aioli, cotija cheese, lime and spices. Before I grilled the burgers, with charcoals aflame, I heated my cast iron pan and charred up some fresh corn kernels with a couple cloves of garlic. After a few minutes, I poured the kernels into a salad dish and added crumbled feta (you could use cotija, but I’m Greek so feta it is! ), fresh picked herbs from my windowsill herb garden, a touch of mayo for creaminess, lots of lime juice for zing and a dash of chili powder for pow. This sunny side dish is a spirited take on a summer classic - Just in time for the 4th! Place a cast iron or nonstick pan over a medium-hot fire in a charcoal grill or medium-high stove top. Pour in the canola. Once the canola is shimmering, add the corn kernels. Toss the pan every now and then, allowing the kernels to char all over, about 8 minutes. When the kernels are just about ready, throw in the minced garlic, salt and pepper, and saute for 1 minute longer. 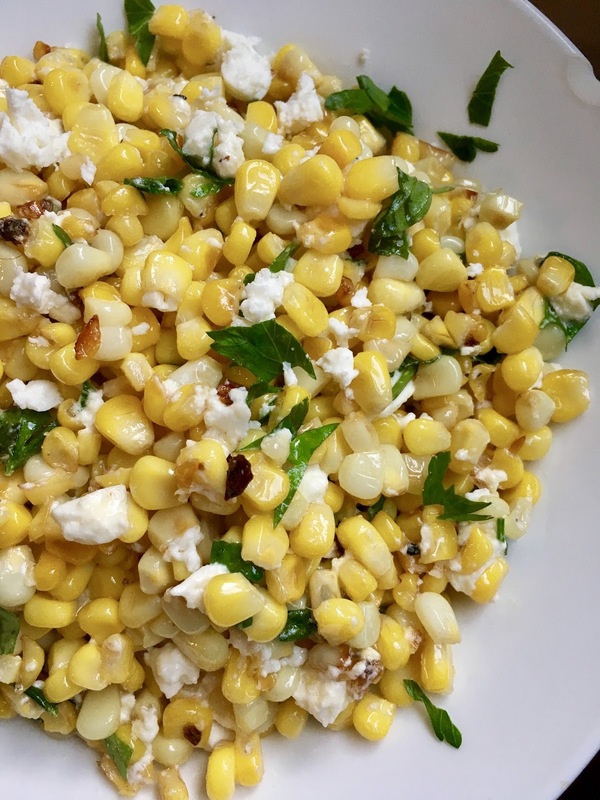 Pour the corn kernels into a salad bowl. Add the mayonnaise, lime juice, basil, cilantro, feta, chili powder, salt and pepper and toss to combine. Serves 4. Feel free to make this savory side ahead of time - it’s super flavorful served chilled or at room temp!